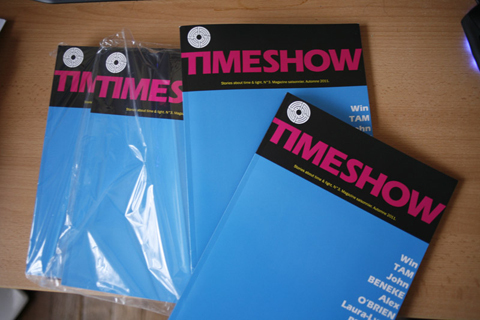 Timeshow 3 is the last issue of the first "Timeshow trilogy". 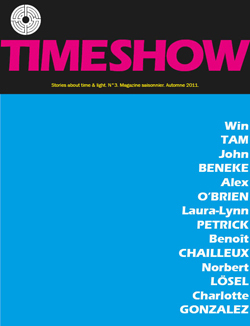 It was released three months only after Timeshow #2, to go on in the magazine direction. This winter issue has 7 wonderful contributors: Charlotte Gonzalez (France), Laura-Lynn Petrick (Canada), Norbert Lösel (Germany), John Beneke (USA), Benoît Chailleux (France) & Win Tam (China). The magazine was initially available as a magazine on demand for the paper copies and for free, online. It's still there, so enjoy!